Finally!!!! I’d been waiting so long to read and review this book! As expected, it was an amazing book… I just watched the movie too!! 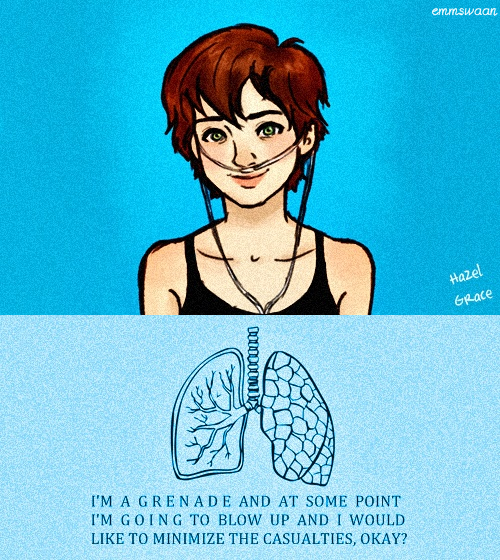 Hazel Grace has cancer. She walks around with a breathing machine that keeps her alive but she doesn’t see the point in living anymore. Everything she does, every extra day she lives, she lives for her parents. Hazel goes to a support group every week but sees no point in going. Until she meets Augustus. Augustus is a boy who had cancer. He comes to the support group to support Isaac, another boy who has one glass eye and is soon having a surgery which will make him completely blind. Hazel and Augustus hit it off and he invites her to his house for a movie. Hazel accepts and their relationship evolves. 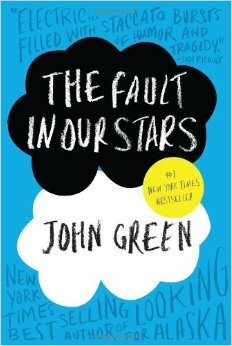 Augustus and Hazel both want to meet a particular author but they find out that he is a recluse who lives in Amsterdam. Augustus uses his wish from The Genie Foundation, an organization that grants one wish to cancer kids, to get Hazel, him, and Hazel’s mother a trip to Amsterdam. However, the story takes a very unexpected turn toward the end of their trip and and Hazel is heartbroken. What happened and will things ever be the same again?